The Word Voodoo (“heavenly intuition, vitality”), originated from the language of the African tribes, and actually has a positive connotation. Over the years the religion of Voodoo, has been depicted as dark or negative magic. The essence of Voodoo is essentially an understanding that everything in the Universe is undeniably linked, spiritually. Black magick in some countries was considered a criminal offense until 1953, and there were bokors who did not honour the positive religious energy of Voodoo. Instead they chose to connect with, and channel demon energies, which allowed them to practice their dark art. The price the bokor pays for his dark deeds, is to serve the demon in his world after his death. A male dancer, clad only in a loin cloth, then leapt into the center of the clearing, carrying a coffin the size of a small baby. He was welcomed with cries of “Li Grand Zomi, Li Grand Zombi, he then dropped the coffin at the feet of the queen and began a wild, whirling dance, spinning around and around. The dancer would collapse from exhaustion, others then began to dance stopping intermittently to drink from the cauldron. Live pigeons and chickens were used in these rites, which were frenzied and frightening to witness as people fell to the ground possessed. It was as though the entire gathering of people were as one frenzied whole. Any new members had to step inside a circle drawn on the ground with a piece of charcoal, by the king. The initiate was then handed a wax effigy of a man, a piece of human bone and a horse’s hair. While striking the initiate about the head with a wooden paddle, the king would chant in African dialect, his words repeated by those present. As he was absorbing the power, the initiate began to spasm and jerk, if he became fearful and stepped outside the circle, the Voodoos turned their back on him. This was an evil omen. If the initiate stayed and gained enough power, the shaking changed into whirling dance movements, encompassing leaps into the air and elation as he accepted the consciousness of Zombi. He continued his wild dancing until he faints and falls to the ground. The king awakened him by hitting him with the wooden paddle, he is then given the oath of the Voodoos. Supernatural being in the Voodoo realm, are known as Loa, the two groups are: Rada-Loa and Petro-Loa. The Rada-Loa serves creation, the enhancement of life, elevation of the collective unconscious. The Petro-Loa are demons, invoked for the sole purpose of negative and harmful magick. The initiator of this type of magick put their body and soul in jeopardy. There is an honored hierarchy afforded to the entities called upon in these rituals, and although in some cultures these entities are considered negative, or even malevolent. Within the Voodoo belief system they are revered. The magickal adepts who use Voodoo dolls can create ancients spells, they can bring good luck, misfortune, curse someone they dislike, or someone they feel has wronged them. They can make someone fall in love, make someone fall out of love, and in the most extreme, cause pain, illness and death. 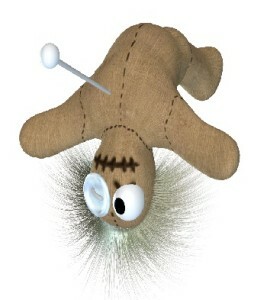 There is more involved to Voodoo doll magick than sticking pins willy nilly into a doll, there is a process involved. Coloured pins are use and different emotions and feelings are attached to the specific colour of the pin. 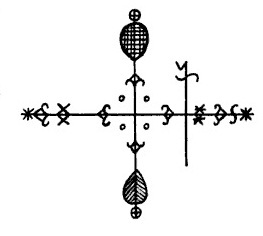 There are seven pins used when performing Voodoo doll magick. For those genuinely interest in Voodoo magick, there are exercises that enhance magickal abilities. To those sorcerers wishing to create mayhem with their magick, the tenfold law applies in Voodoo, just as the threefold law does in Witchcraft. Whatever you send out to the Universe, be is good, or bad, will comes back to you tenfold when working within the law of Voodoo. Wise practitioners of magick, understand and honour the Universal magick law, and practice within the guidelines set down. Voodoo must be practiced with caution. Most Voodoo knowledge and tradition, is passed down orally, and shared from generation to generation. One of the many Voodoo rituals that is favoured, calls upon Legba, (Elegba – Eshu – Ellegua). Legba is referred to as, “God of the crossroads, singer, warrior, jester, guardian of the door to the world of spirits. He usually presents himself as a crippled old man, or as a vulnerable child. As Legba is a shape shifter he is often likened to the trickster god and shape shifter, the meddlesome Loki. Like Loki he can be mischievous and playful, or malevolent and dangerous. He has also done the unthinkable and revealed stolen Divine Secrets to human beings, who are under no circumstances to have been given this potent information. The altar prepared and placed on the ground for Legba’s manifestation, is in a box on the ground, or a small room, or closet near the entrance of the home. The appropriate greeting for Legba is, “Ago Ellegua.” Legba is called upon when the seeker needs advice and guidance. The god will then lead the seeker to the correct path and open the way for him. Legba has the power to influence people’s lives, and alter their life situation, he can create dramatic, life altering and beneficial changes. The recipient of Legba’s benign magick will have no doubt the god has bestowed his gifts upon them. A powerful witch who is the leader of a witch circle conducts this magic for her pupil, the witch and her apprentice must have a strong bond and of course the witch must be the more powerful of the two. The pupil then goes to her favorite marketplace and chooses a coconut, there has to be something about the shape or look of the coconut that reminds the apprentice of her teacher. The coconut is the coconut child, the apprentice places the coconut behind the door of her house for three days. After three days have gone by the apprentice witch asks Legba for his blessings. After these rituals are completed, the sorceress ties three tiny bells to the long hairs at the end of the coconut. The teacher witch then places the coconut behind the door of her home for three days, after this time she thanks Legba for protecting her apprentice. After this time the coconut child is handed back to the apprentice, who may then hang it on the door to her home, or place it behind the door. The witch is thanked with money, or a gift, given to her by the apprentice. During Shango’s time on the earth plane he prepared for his divine life, magick powers were bestowed upon him. Like a dragon, flames came out of his mouth. Like the god Zeus, he hurled lightning bolts at his enemies, his priests also possessed this ability. Many died as a result of his power and his subjects were not happy, they voiced their disapproval and he ascended to heaven on a golden chain. Shango is worshipped as the god of justice, the depiction is him with his three wives named, Oba, Oya and Oshun. People kept the embodied power of Shango in their home on the altar of a house, by a ram’s antlers, or a double bladed knife. 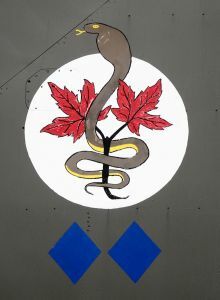 The two sides of life are depicted by the double bladed knife. To begin this ritual, six chilled red apples are required, a bowl must be purified by the sorceress, with cotton balls. The witch rubs her entire body with them, at the same time she reveals all the injustices she has suffered. The apples are placed in a bowl along with six whole, hot, red, chillis, honey is then poured over them until the fruit is entirely covered. The bowl is taken to the forest and put under a tree, this is an offering to Shango who then finds a solution to the problem. Goddess Oshun (Oxum, Ezili, Erzulie), goddess of love and creative powers, mistress of abundance and passion-beautiful, seductive, young. Oshun is likened to Aphrodite and Venus. Aligned with beauty, love, fertility, sensuality, passion. Celebrated as goddess of the river Oshun. Every year there is an elaborate celebration in her honour. During the celebratory dancing rituals, Oshun selects particular women as intermediaries, those chosen are connected to the goddess for their entire lives. Others consult the women selected by Oshun, seeking their wise counsel in matters to do with children, fertility, love and life in general. During Voodoo ceremonies in which Oya appears through possession of an individual, causing the person to dance as if in a frenzy, while holding a torch in their right hand and moving as though setting trees or building alight. Yemaya, (Imanje, La balianne), is the female goddess of the oceans, fertility, mothering, nourishing, desirable, charming, loving, kindness. Ruler of the oceans and the embodiment of female power, guardian of all nourishing entities and she orders women’s affairs. Yemaya is a large black goddess with the look of a mermaid and powers of seduction. The Yoruban people of Nigeria worship her as the mother of the river Ogun. A container filled with water from the Ogun is used as a cure for infertility. Poultry and fish are offered as a sacrifice to the goddess, yams and cowrie shells are given as gifts. Great post. I assume you have read Deren’s “Divine Horsemen.” I also have a copy of “Mama Lola: A Vodou Priestess in Brooklyn” which is on my short list of books to read. I read a lot! Its nice to know someone other than myself has read that ! Here is a website that they literally can find any book like really hard to find Voodoo/hoodoo/ and neworleans voodoo books its amazing and its in New Orleans french Quarter they are nice people! http://voodooneworleans.com/books.php What they have up isn’t all they have and they will help you find it and for a good price too! There is this other site that has rare oils but they are a bit expensive! http://erzulies.com/product-category/ancient-hindu-spells-magic-anointing-oils/sacred-hindu-precious-attar-oils/sacred-attar-pure-essential-oils/ but they are also in the french quarter of New orleans and very good! though there website looks cheesy lol. Ok first off hardly any of this post is truth. Don’t you think there is enough misinformation out there. You’re allowed to have your own opinion but, I was raised in New Orleans and I got first hand knowledge not just looking up things. So please if you disagree move on or tell me what you think is not true.